River City Harvest Community Gardens are working on developing gardens throughout the Great Falls area to give individuals and families a place to grow their own fresh fruits and vegetables, as well as provide fresh produce to local food charities. Community gardens give individuals and families a place, as well as the knowledge through education and mentoring, to grow their own food. They encourage everyone who doesn’t have ideal conditions at their home, or who doesn’t have the confidence to start a garden on their own, to join the gardens. Growing their own veggies gives residents the ultimate control in their food choices. River City Harvest worked closely with Wade Crouch, the agricultural officer at the Cascade County MSU Extension Office. He’s encouraged the Master Gardeners to help with the effort, and many have volunteered their time caring and harvesting the crops set aside in our food bank plots. Ace Hardware has also been a tremendous support donating materials and labor to install a much-needed water line in one of the gardeners, and providing name plaques for all of the gardeners’ plots. The Ace Team is also planning on constructing a screened in gazebo for the gardeners and residents at our Park Place Health Care Center garden so the seniors, many of whom have to use a wheelchair, can enjoy the garden, as well. An aspect of River City Harvest’s mission is to help groups start gardens, whether they’re directly involved, or not. In Spring 2010, River City Harvest broke ground for gardens at the University of Great Falls and the Salvation Army. 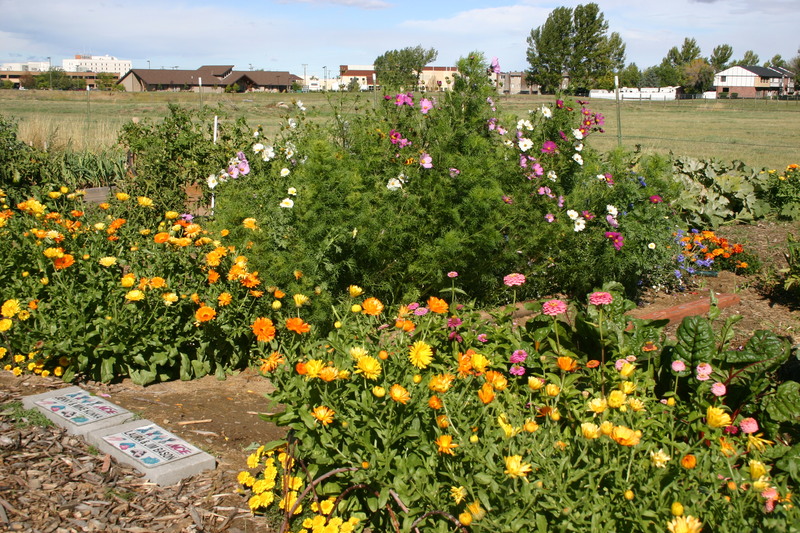 UGF’s gardens were for their faculty and students during this first year, but they are offering plots to the public in 2011. The Salvation Army garden grew food specifically for their Family Services program. The volunteer Master Gardeners watered the garden with a single hose (hooked up at the bathroom sink), and harvested over 5000 lbs. of produce when all was said and done. A big part of the success is the generous donations of property and water at our 2 gardens from Park Place Health Care Center and Electric City Conservatory. Both of them provide the land and water at no cost to RCH or the gardeners. Without their help, it would be a greater challenge to install a water system and pay the bills on a limited budget. A diverse cross-section of the community takes part in the gardens. We have young and old individuals, as well as numerous families with small children who rent plots.